If you haven't seen streamlined & simple stationary, you have to check it out. But first, I have to tell you this is NOT a sponsored post. This is not an advertisement. 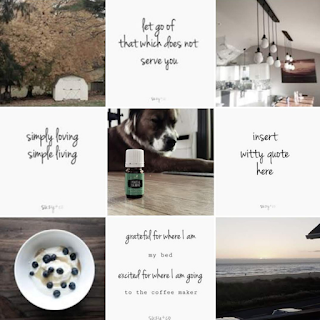 I get absolutely no money or free product for this post. In fact, she doesn't even know I am writing this. I just really like their stuff. I started following them at least a year ago on Instagram. I immediately fell in love with their products. But it took me several months of following them before I ordered anything. I am not a big shopper and being a minimalist I really tend to think about most things I buy to make sure I really want them. I had the option of adding on magnets and I didn't. But I should have. I glued on an old magnet to the meal planner one so I can keep it on my fridge. My absolute favorite is the meal planning/grocery list. I use it every week. I love that you can meal plan on half, make your grocery list and then rip off just the grocery list side and the meal planning is still there. I use the weekly planner so I will not forget things that are happening during the week or that I need to do but it doesn't completely matter which day. When I decide I will share. 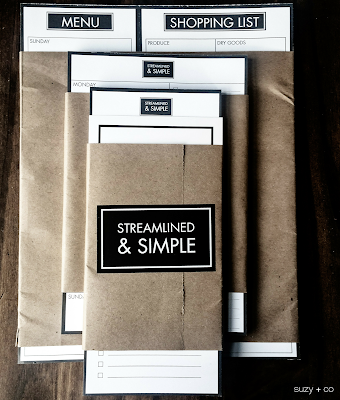 If you are looking for beautiful but simple stationery, I highly recommend Streamlined & Simple.